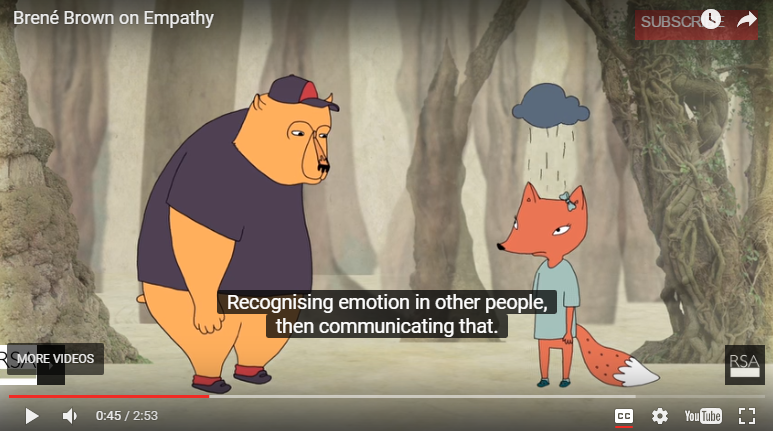 In this short animation produced by the Royal Society of the Arts, Dr Brené Brown speaks about the difference between empathy and sympathy and encourages us to get in touch with our own fragilities in order to connect with others. The video could be helpful for a health or social care professional to inform the way they relate to children and young people. Dr Brené Brown is a research professor and best-selling author. She has spent the past decade studying vulnerability, courage, worthiness, and shame. This video was produced and published by the Royal Society of the Arts.